Now that the time has come to rely on an experienced attorney to help resolve your legal problem, trust is critical. You will be working closely with your lawyer over the next several weeks and months. An emphasis on clear communication, integrity and experienced legal advice will make a significant difference. Understanding who you are and the challenges you are facing is also critical to your ability to trust your representation. We are committed to being a team of lawyers who represent you with compassion and caring. 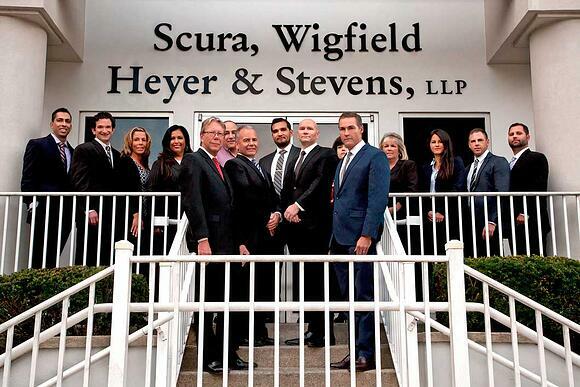 We are the law firm of Scura, Wigfield, Heyer, Stevens & Cammarota, LLP, with offices in Wayne, Hoboken, Hackensack and Newark, New Jersey. Our firm has been serving the legal needs of residents and businesses throughout New Jersey since 1972. We place a high priority on keeping lines of communication open between our law firm and our clients. John J. Scura III of our firm has been Certified by the Supreme Court of New Jersey as a Civil Trial Attorney and invites referrals of litigated matters from clients, in-state and out-of-state attorneys. We recognize that every client and every situation is unique. We also understand that if you are considering bankruptcy or have been the victim of an injury, you likely feel vulnerable. At Scura, Wigfield, Heyer, Stevens & Cammarota, LLP, we strive to represent each of our clients with understanding and compassion. While we recognize that compassion is not something you typically hear tied to lawyers, we truly believe that in order to represent you well, we must understand you well.